As mentioned previously, December always leaves me with a nasty case of Holiday Brain. I’m easily distracted. By twinkle lights. And Christmas cookies. And the DVR. My work output? Not optimal. January 1 always has me eager to get back to work. At the same time, I’m so damn used to being lazy, I need to ease my way back in. Cautiously dip a toe into the water. In slow motion. This past couple of weeks, I’ve definitely been working in slow motion. I’ve been sitting with stacks of magazines, flipping through for story idea inspiration. I’ve done up a couple of Freelancedom posts. I sat down with a directory of literary agents and planned my next moves for pitching my book proposal. I sang a funeral. But the one low-key thing that’s led to tangible progress? A casual, how-about-we email to a blogger-buddy led to a collaborative lecture proposal for an upcoming conference. Another email landed meÂ my next smart cookie for January’s forthcoming edition of Word Nerd News. A followup email to someone who had been considering career coaching in late November / early December has gotten me that much closer to a new coaching relationship. Combination holiday/thank you cards led to a well-paying assignment just before Christmas, an update (and promise of forthcoming work) from another client, and the galley for a book I’d been eyeing. A quick check-in with my fabulous writing partner gave me a strong lead on a possible designer for my e-workbook. And query followups with two publications had editors asking me for more pitches. I’m not suddenly rolling around in money, laughing maniacally as my cats look on, slightly alarmed. But it’s still not too shabby for January 4. 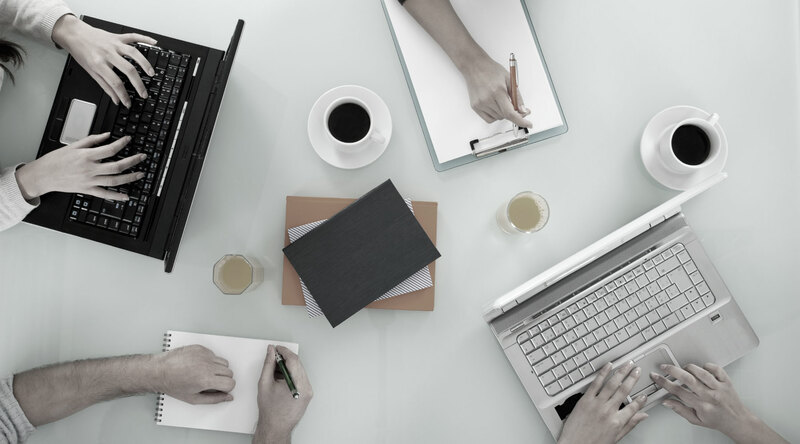 How can you easily reconnect with those in your network, leading to the possibility of future collaboration? And… you know… whatever. This list is just a starting point. So. First action step for 2012? Reach out and touch someone. I’m talking testimonials, people. And all you have to do is ask for them. Maybe you feel weird about asking your clients to talk you up. Maybe you figure that — if they really liked you — they’d do it on their own. But if you straight upÂ ask for testimonials (and you ask for them using the types of thought-provoking questions that make for the most effective testimonials), you can then use them on your website, in your e-newsletter, in your email signature, on your blog… wherever you think they’ll be most visible to your target client. And these solid endorsements from others will show those stillÂ hesitatingÂ to open their wallets that you have a proven track record of solving problems just like theirs. So how can you score those eye-catching testimonials? 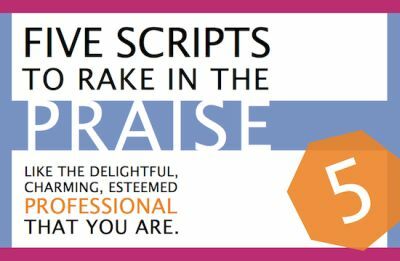 Promotional wordsmith Alexandra Franzen makes it easy with her latest info-product: Five Scripts to Rake in the Praise. You can send out these scripts word for word… or you can use them as jumping-off points, allowing them to inspire you to new heights of writerly radiance that smack of your own huggable personality. If nothing else, these scripts will stand as shining examples of what can be accomplished with top-notch copywriting. If you’re more interested in Alexandra’s Five Scripts to Fill Your Client Docket, leave a comment below describing your dream project/client, because I have one of those to give out as well. * I will be excepting entries through midnight on Thursday, December 22. I will email the winners on Friday, December 23.